Prettiest way to tell your story is with this colorful parallax theme for WordPress. Full-page parallax backgrounds with simple vertical layout makes it a perfect one pager. 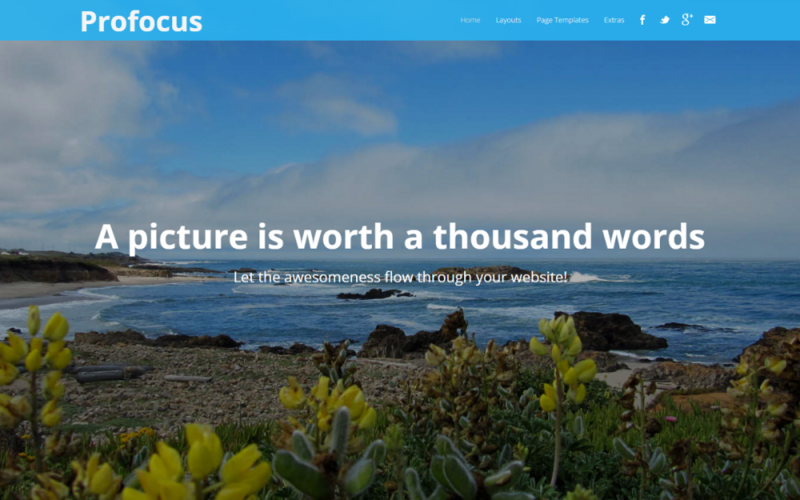 Profocus is a Premium WordPress theme with parallax effect. Homepage features vertical one-pager layout with a set of picturesque background images covering the entire screen-space along with a space to showcase your products and services. The theme features Smart Menu-intent Technology that displays navigation menu just when the user is looking for it.